Big fan of Contact Form 7 plugin? 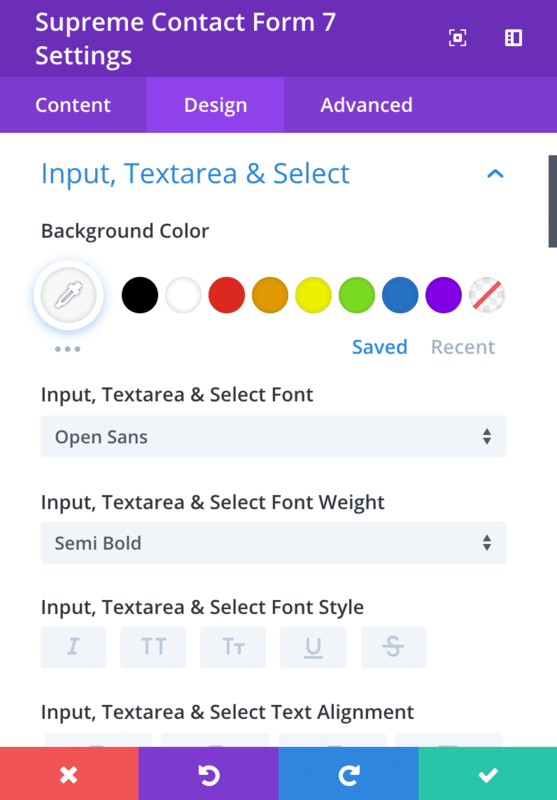 Now with Supreme Contact Form 7, you can select your contact Form from the dropdown list without having to go back and forth switching between Visual Builder and Contact Form 7 setting page copying the shortcode and adding to the Divi Code Module. 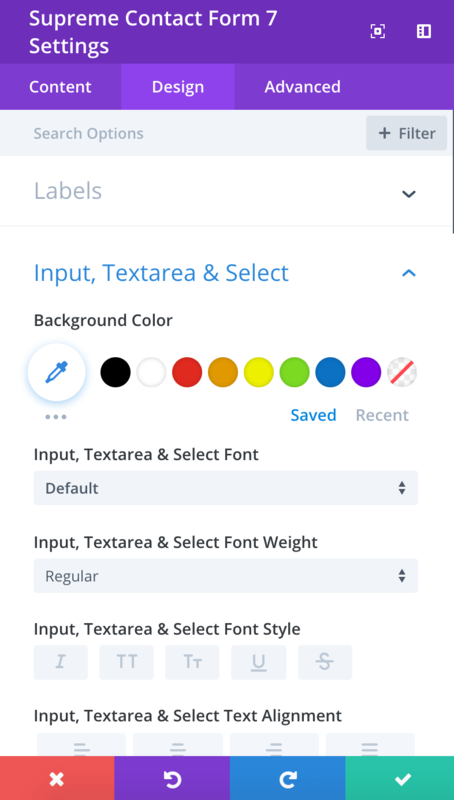 Style your Input Fields, Button, Labels, Validation, Error Messages and more!